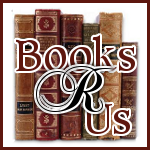 Ginger High- Books R Us: WELCOME TO THE TGIF BLOG HOP!!! WELCOME TO THE TGIF BLOG HOP!!! (don't worry, it is still only once a week and you can unsubscribe at anytime). This week we are also adding Linkys for BlogLovin', Facebook, Twitter, & Google+. Please follow other pages if you leave your link. If this week is a success, we'll do it in the future!